The primary benefits of the Move NY toll reform plan are reducing congestion and funding transit — but don’t overlook the huge potential to improve street safety. Recent research at Lancaster University in the UK suggests that since the introduction of the London congestion charge in 2003, lethal crashes have fallen faster than traffic congestion. The safety gains have even “spilled over,” as planners put it, to uncharged times of day, areas of the city, and modes of travel. While traffic deaths have declined in New York since 2003, the fatality rate has fallen much more sharply in London. Most of the two dozen planners, academics, and advocates I interviewed in Stockholm, London, and New York agreed that the lower traffic volumes caused by congestion pricing result in safer streets for everyone. This runs counter to the notion that crawling Midtown gridlock means safer streets because cars are moving so slowly. Ultimately, fewer cars on the streets means a lower likelihood that people will be struck. Although increased average traffic speeds from congestion pricing may sound like a risk, vehicles aren’t likely to end up driving at more dangerous speeds. That’s because pricing causes traffic flows to be “smoothed.” Stop-and-go driving is reduced, and while average speeds increase, maximum speeds do not. By reducing traffic volumes, congestion pricing makes it easier to reallocate street space from cars to other uses. This is true in a practical sense in that there are fewer vehicles to squeeze through, and also politically, as people observe reduced congestion. Vehicle lanes could be turned over to new bus lanes, bicycle infrastructure, or pedestrian safety improvements. The prospect of reallocating vehicle lanes was very popular among transportation planners I spoke to in Stockholm and London, where congestion pricing has indeed enabled automobile lanes to be transformed into other uses. In London, bus speeds increased dramatically when vehicle lanes were reallocated to surface transit, which led some commuters to switch from driving. In New York, increasing the capacity and speed of bus transit would help turn around collapsing bus ridership trends that are largely due to chronically clogged or blocked bus routes, and promote a mode of travel that is far safer than private automobiles. In London, 11 percent of congestion charge revenues are specifically designated for street safety projects. The proposed MoveNY legislation makes no specific allocations for safety projects, but it includes allotments for NYC DOT that the agency could draw from to implement enhancements like protected bicycle lanes, improved pedestrian crossings, and public plazas. Moreover, New York could follow London’s example by investing congestion pricing revenues into its surface transit network. Street space newly reallocated to buses could be complemented by expanding the provision of reliable, high-frequency bus service. An underappreciated impact of pricing has been the way it changes how people think about transportation and driving. The officials I spoke with observed that once car owners perceive driving as a higher-cost activity, they value and approach driving differently. One Stockholm planner suggested that pricing be deliberately used as a “pedagogical instrument that challenges the idea that cars are the only way to get around.” Another noted that congestion pricing in Stockholm reduced driver frustration and changed the public’s understanding of the transportation system, legitimizing bicycle use and leading to greater public acceptance for street safety projects. According to those officials, Stockholm residents not only drove less, but also drove less frantically. This was partly a natural adjustment to more reliable trip times, and partly because they experienced less frustration. If drivers here in New York, too, found trips to be more reliable and were less worried about being delayed, their driving might become less aggressive. Safety may not be a prime motivator for MoveNY. But as New York strives to achieve its Vision Zero goals, it’s worth thinking about the multiple ways that toll reform could lead to safer streets and roads. 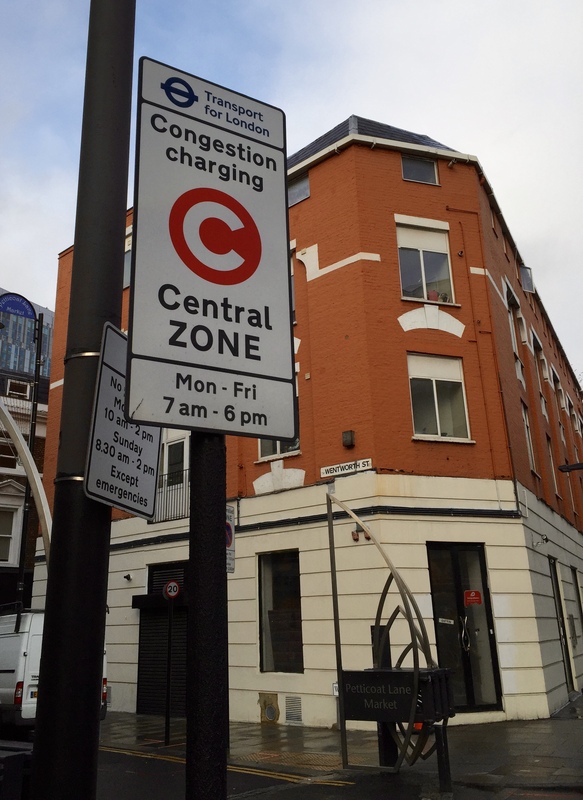 The jargon term is “temporal denetworking.” In other words, if a congestion charge is not in effect all the time it still works when it is not being charged. Why? Suppose a car driver faces the congestion charge on one way of a round trip. But during the return trip time for the car driver the charge is not in effect. If the outbound congestion charge is high enough to deter the outbound car trip, then there will be no return car trip that otherwise would have taken place when the charge is not in effect. Temporal denetworking also applies to cyclists whose only safe route is through a park that is closed upon the return trip.